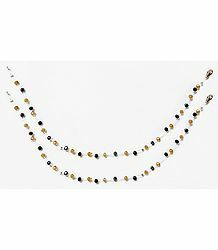 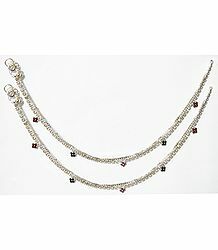 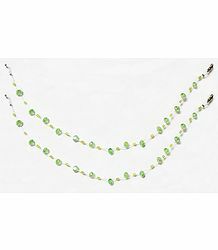 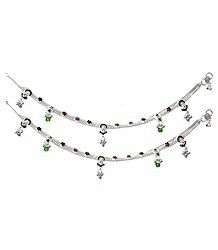 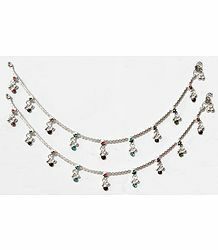 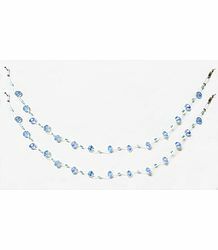 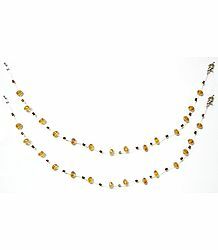 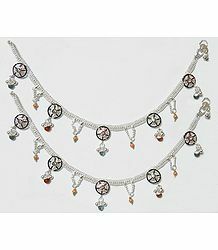 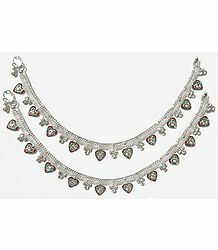 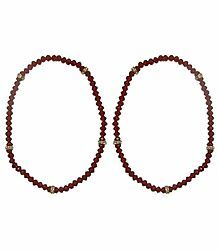 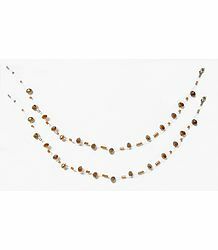 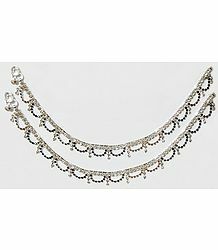 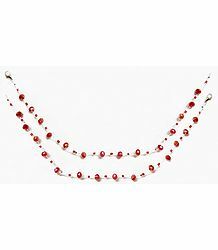 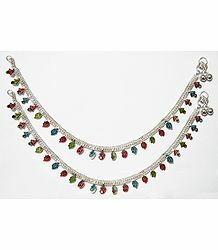 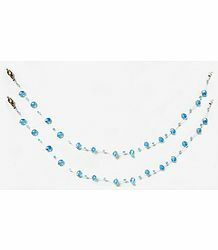 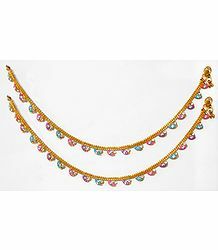 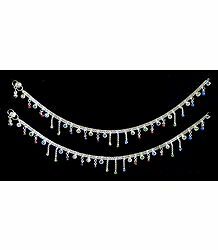 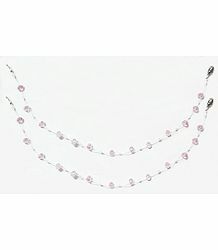 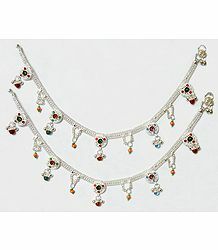 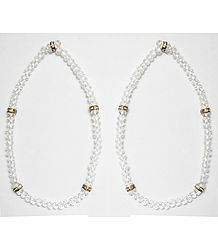 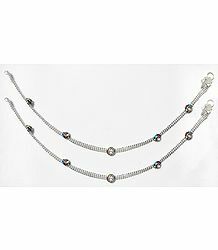 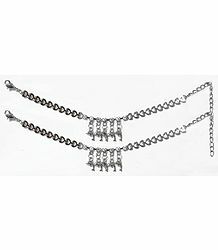 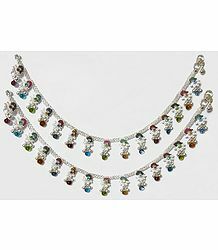 Anklet, as the name suggests, is a piece of costume jewelry worn around the ankle. 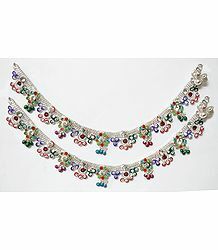 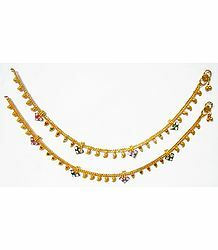 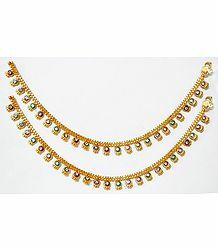 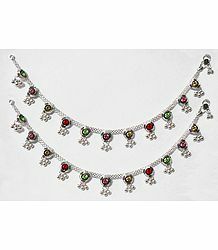 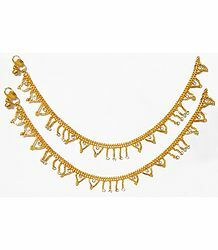 Indian culture stresses upon ornamentation of every part of a woman's body and to that extent the anklet is a very important part of ornamentation. 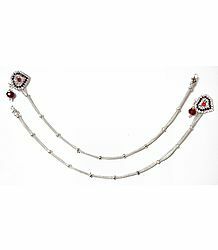 Since women provide great care to their feet, almost with as much as their face, it is only appropriate that such efforts be complemented with fitting ornamentation, in the form of a beautiful pair of anklets. Indian dance places great importance on rhythmic footwork and the sensuous feel and beauty of anklets combined with the tingling sounds they emanate make the dance more beautiful.